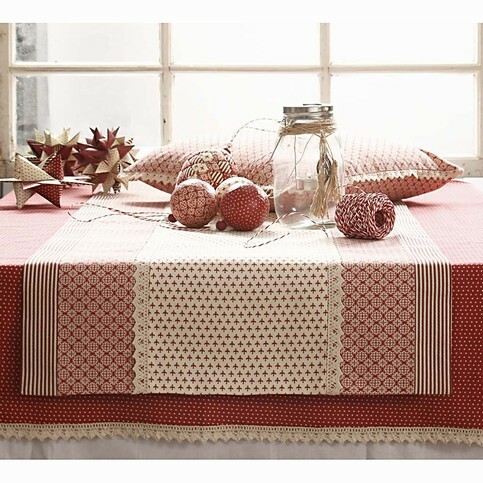 A table runner and a tablecloth are sewn from vivi gade fabric from the copenhagen series. Decorated with a lovely lace. 1. 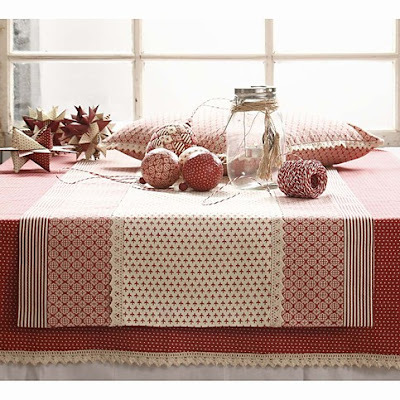 For the table runner cut to a desired length: 1 piece measuring 23cm, two pieces each measuring 12cm and two pieces each measuring 6cm. 2. 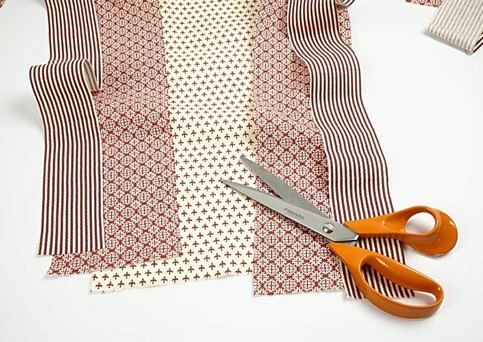 Cut the same sizes from vlieseline minus 1cm in each side. 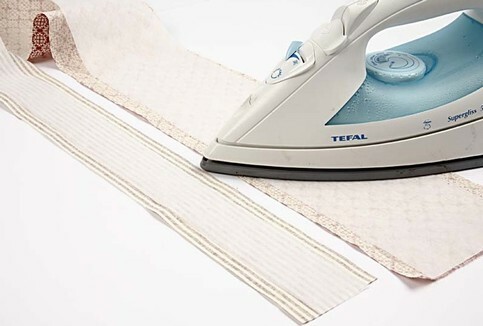 Iron onto the fabric. 3. 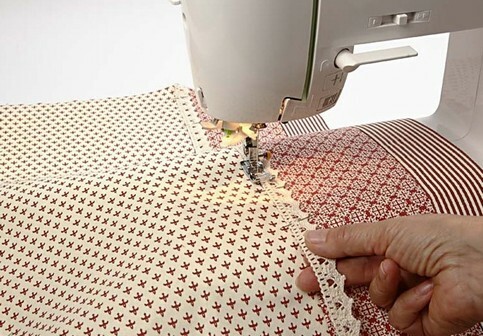 Sew all lengths together with 1cm seam. 4. 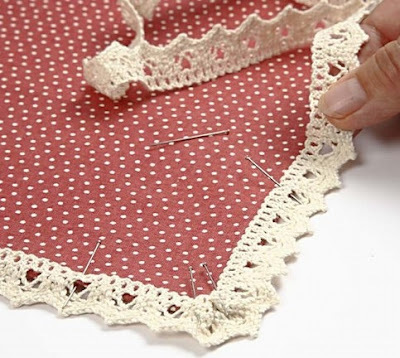 Sew the lace onto each side of the centre piece of fabric. 5. 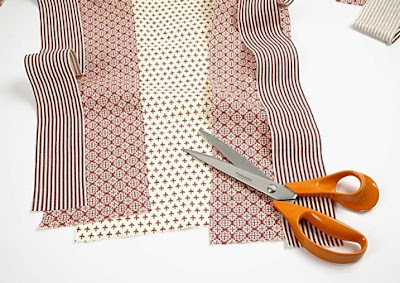 Cut another piece of fabric with the same measurement as the sewn pieces of fabric. 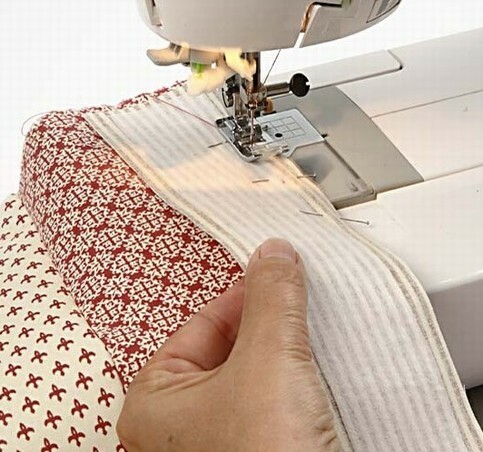 Sew together, right side against right side with a 1cm seam all the way around. Leave an opening for turning the cloth inside out. Sew the opening together with back stitches. 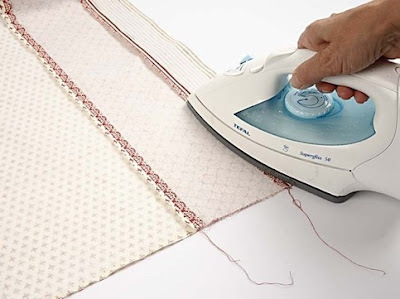 Iron the table runner. 6. Fold in 1cm of the edges of the tablecloth and iron to fix (you may use the sewing machine to sew over lock stitches beforehand). Sew on the lace.